Barbed Wire Wedding Bands. 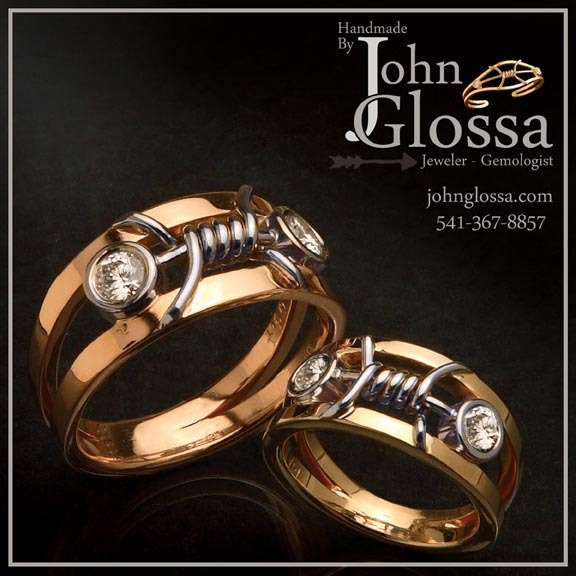 His & Hers matching wedding rings, set with diamonds. This 14 karat yellow / white gold Gent’s ring is bezel set with two 1/2 carat diamonds and is made with heavy gauge 2.5 millimeter square gold stock. The inside of the ring is beveled and the area between the fingers is tapered to give a smooth comfortable fit. The Base price to fabricate this ring $2,400.00 (without diamonds). Add the quality of diamonds to this design to fit your budget for the finished price. The 14 karat yellow / white gold Ladies ring is bezel set with 1/3 carat diamonds and is made with 2.0 millimeter gold stock. Again every effort is made to bevel and taper the ring for a lasting comfortable fit. 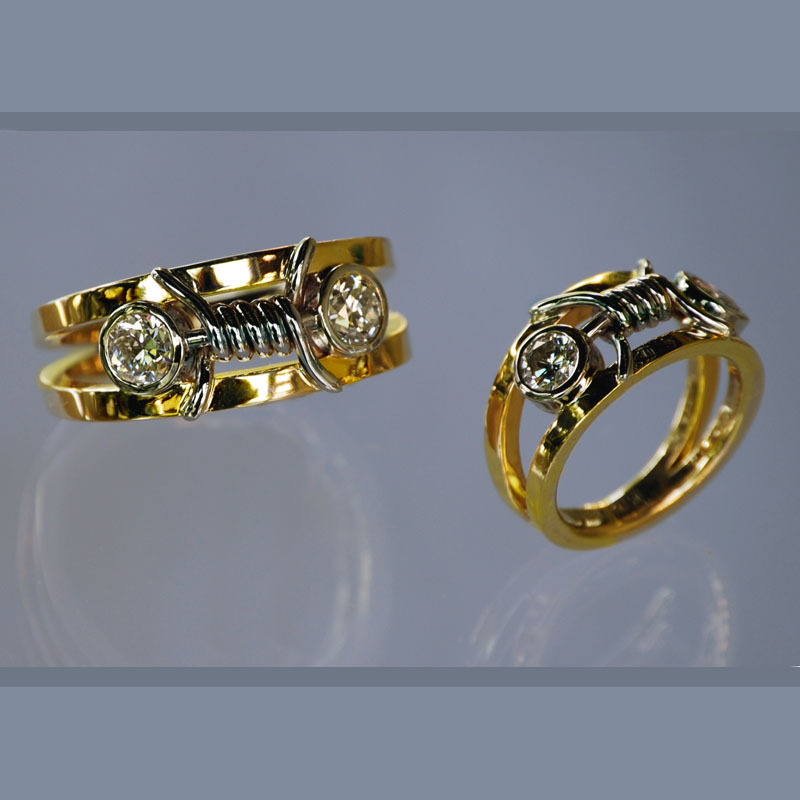 The base price to fabricate this ring is $1,800.00 (without diamonds). These rings go out to Hobbs, New Mexico.